• It’s a chemical extract. According to the FDA, “natural flavoring” or “natural flavor(s)” refers to a chemical flavor extract of either a plant or an animal (considered natural sources) that has been used in the product. Essentially, natural flavorings are by-products of plant and/or animal processing—they provide flavor…but not nutrition, as the label suggests. “Artificial flavorings” are not sourced from nature (from a plant or an animal)—the chemical extract is synthetically processed in a lab. Both natural and artificial flavor molecules are chemically identical…they just come from different sources. • Almost all foods contain natural flavorings. Natural flavoring is one of the most common ingredients in processed foods (others include calcium carbonate, sodium benzoate and xanthan gum). The FDA definition and regulation of natural flavors has nothing to do with the nutrition of the food product. The sole purpose of natural flavors is to increase the flavor of a processed food product. My bottom line: To get the biggest nutrition boost, eat a diet of mostly whole foods (not processed), and add your own natural flavorings. 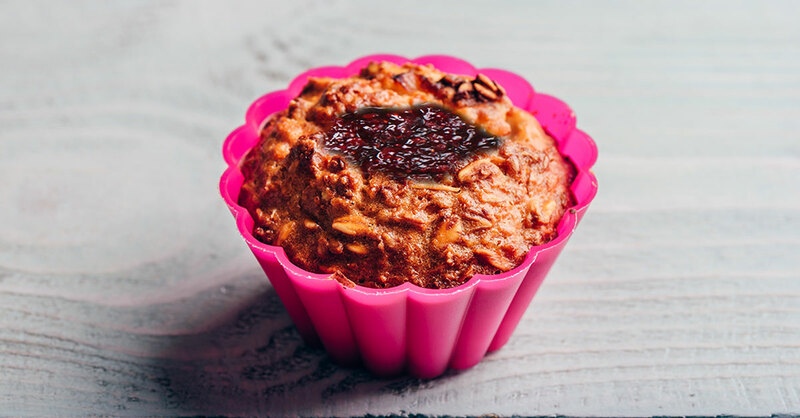 These muffins (made with real berries) make a satisfying, heart-healthy breakfast. Directions: In a medium-sized bowl, add the rolled oats and unsweetened almond milk and mix together. Cover the bowl and refrigerate for four to eight hours until most of the liquid is absorbed. Preheat the oven to 375°F, and grease a muffin tin with canola or olive oil. Add the egg, maple syrup, vanilla extract, baking powder and cinnamon to the oatmeal mixture, and mix well. Scoop one-quarter cup of the mixture into each muffin cup. Place a few berries on top of each muffin, and bake for 30 minutes. Let the muffins cool for 10 to 15 minutes before removing them from the tin.